What would a retired couple, a retired couple with a dislike of the noise emanating from children, I might add, be doing visiting the otherwise delightful New Forest in the middle of August, I hear you say? Very good question! The answer is relatively simple. It is a sad fact that Satan’s Little Disciples are let out of their sanity-preserving prisons at a time that not only hijacks a fair proportion of our potential summer but also holds hostage a good chunk of our dragonfly season. 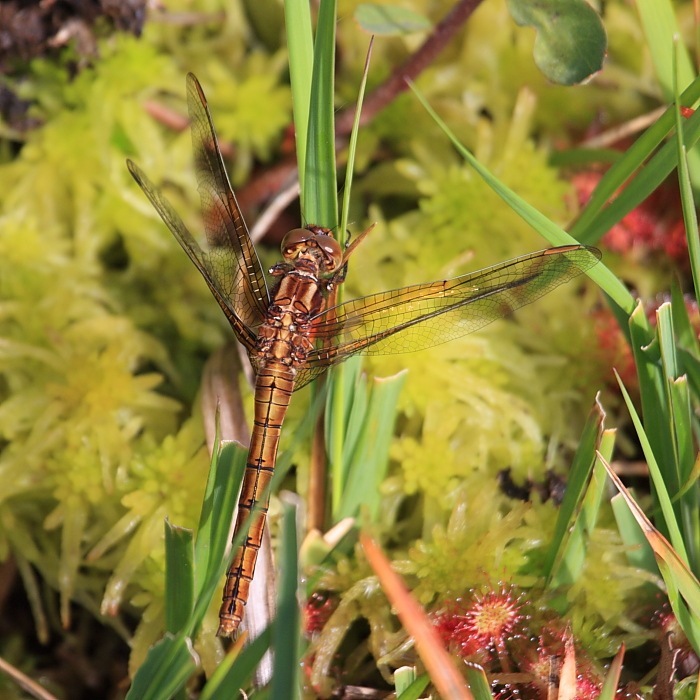 Any Odonata enthusiast wishing to maximize the season, which may be thought of as relatively brief at these northern latitudes, needs to get out there and mix it with the kids. Carol seems about as enthusiastic about dragonflies as I am these days so we had decided to face our nemesis and take a break in the middle of August. I am delighted to report that we survived our novel experience relatively unscathed; we committed neither infanticide (most families seemed to have 3+ yapping Disciples), canicide (many families also seem to have yapping dogs in tow) or suicide (which, although still illegal, would probably have been our most honourable escape option). I actually had a specific goal in mind from this trip. 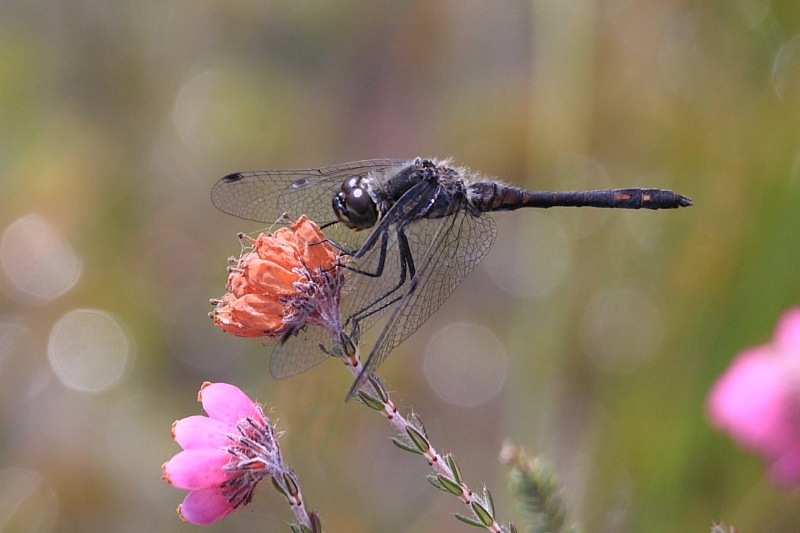 Though relatively widespread, the Black Darter (Sympetrum danae) does not live in our neck of the woods. There are, however, necks of the New Forest where it does live. 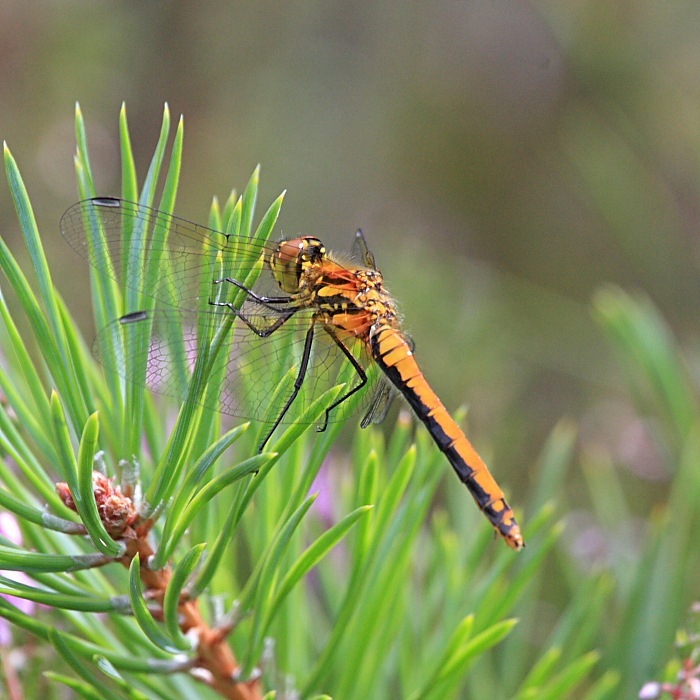 I was very keen to see an example or two so I made a note of couple of interesting locations from Doug Overton’s New Forest Dragonflies website. At many sites, much of the activity seemed to centre around Keeled Skimmers (Orthetrum coerulescens). We’d nabbed the males on our earlier trip but, unlike the males which strut their stuff over a territory, the females are more elusive, typically lurking about low in the grass. I eventually happened to scare one up and track it to get my first shot, although she is partially obscured by the obligatory blade of grass. Nonetheless, she’s a welcome addition to our catalogue. Eventually we went off in search of my main quarry, the Black Darters. Two of Doug’s sites, which happened to be very close together, looked favourite. The first pond didn’t look hopeful at first but, either as we got our eye in or as it warmed up a little, we spotted what could only have been a Black Darter male flying sorties from a Cross-leaved Heath (so says Carol – Erica tetralix) plant which provided a suitably colourful counterpoint to the male’s dark elegance. As is usual with a new species, I was captivated and had trouble dragging myself away. Happy camper! 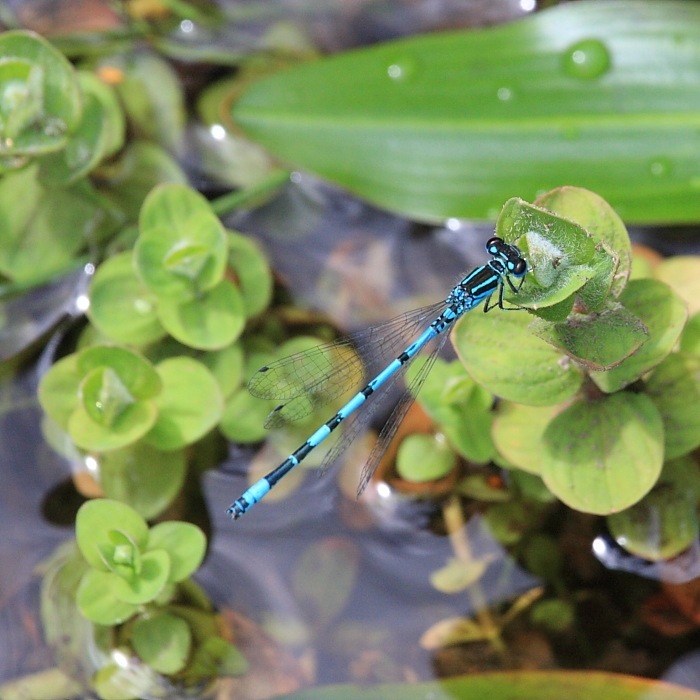 We did drag ourselves away, though and went on to the second location where there were many more Black Darter males and where we luckily (once again) stumbled across the female of the species lurking in the pond’s surrounding plant life. Very happy camper! 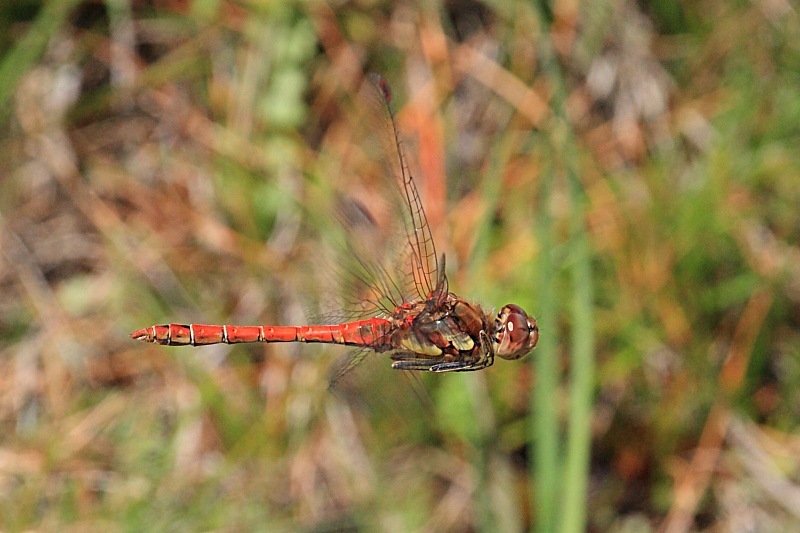 Finally, Carol did very well with an old friend: on manual focus, she managed to snag this excellent shot of a Common Darter (Sympetrum striolatum) in flight beside another of our ponds from a previous trip. Common Darters are really very attractive and can be easily overlooked. If you can get pictures like this, what a mistake that would be.